It seems like we’re always talking with photographers who have taken circuitous routes to becoming a professional photographer. French fashion shooter Pauline Darley took a more direct path. A communications student who had been given a camera when she was a teeneager, Darley simply followed a logical path. That doesn’t mean it was a perfectly smooth ride, but she’s been making it as a professional fashion and beauty photographer in France for more than 7 years and she’s frequently interviewed about her approach. We caught up with Pauline to get some of her insights on fashion and to learn more how she does what she does. Alpha Universe: How did you get started as a professional fashion photographer? Pauline Darley: I'm very lucky because it came very naturally. I began photography when I was a teenager. I was a student and I shot when I could, sometimes it was every day! I published my pictures on the Internet and people saw my pictures on there or their friends would share my photos and I’d get asked to do a photo shoot. After that, brands and magazines started contacting me as well. Alpha Universe: What attracts you to fashion photography? Pauline Darley: First, what I like in photography is the portrait. To me, Fashion is the dress up "face" to create a fantasy universe! Alpha Universe: How long have you been shooting Sony? Pauline Darley: I actually began to shoot with the Sony α100 DSLR in 2008! After that, I used my boyfriend’s Nikon D3 and later I bought a Canon 5D MkII. I went back to Sony with the α99 SLT camera and now I use the mirrorless α7R II. 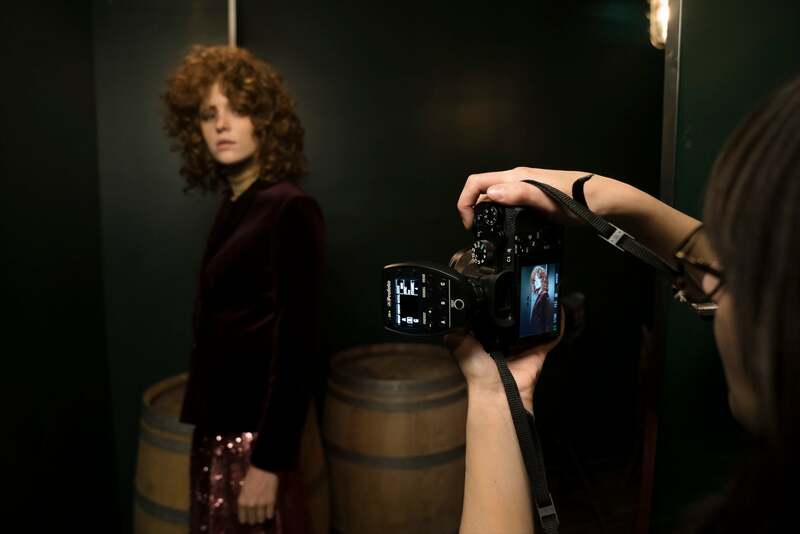 Alpha Universe: Why did you choose to use the Sony α7R II for your fashion photography? Pauline Darley: With my jobs and projects, I must have a camera with high resolution. The Sony α7R II has a 42-megapixel sensor which is perfect to me! I like the camera very much because it offers me a lot of advantages during my photo shoots. I don’t waste time anymore. Alpha Universe: What are some specific advantages of using the α7R II for your kind of fashion and beauty photography? Pauline Darley: The mirrorless offers me the possibility to shot with the screen and see the changes of my settings on it. I used to have a lot of eye issues when I was shooting through a small viewfinder. I also use the Eye AF, In-Body-Image-Stabilization and the level feature! It lets me work efficiently during my photoshoot. Alpha Universe: Your photography shows a distinct lighting approach. How would you describe it? Pauline Darley: Yeah! I know my light is "clean" and I like this! I like when it’s luminous, with fewer shadows. But maybe I’ll evolve in the future and use more with more shadows. We'll see! I use Profoto strobes and the Remote TTL-S which is a Profoto remote designed to give TTL to Sony users. Alpha Universe: Many fashion photographers use just a couple of lenses to create their style. Do you have a favorite lens or lenses? Pauline Darley: I really like the 55mm f/1.8 Sony Zeiss. 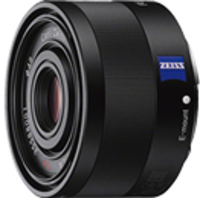 I also use the A-mount 85mm f/1.4 Sony Zeiss and the Sony 35mm f/2.8. I use the 55 for just about everything and the 85 for portraits and the 35 for fashion.